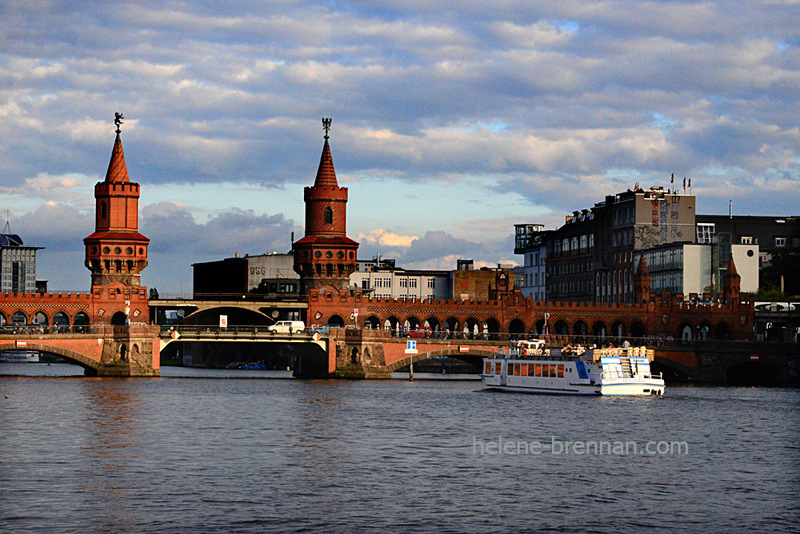 The Oberbaum bridge is a very impressive double decker bridge over the River Spree, with a road and railway crossing, and two towers, adding extra decorative features. Here there is a tourist boat on the river. Unframed, no mount (mat), easily posted. Smaller size available. Framing available if picture collected. Please enquire.